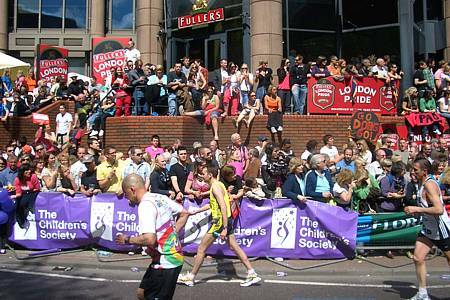 Only 278 runners from Germany finished the 29th London Marathon. 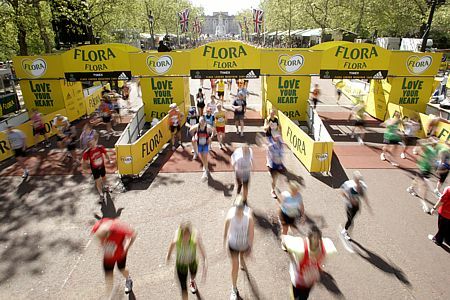 The race is an almost pure British event. 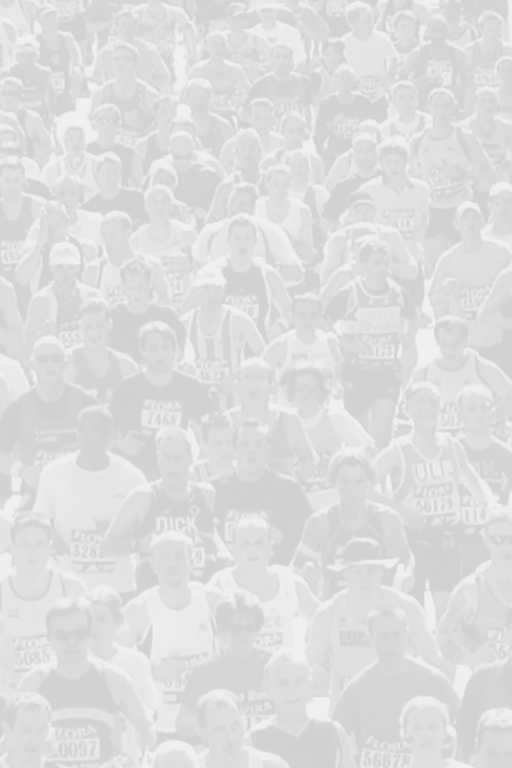 There are only 7% overseas runners allowed to take part, compared to 50% at the New York City Marathon. After 11 miles it's the same story as last year. 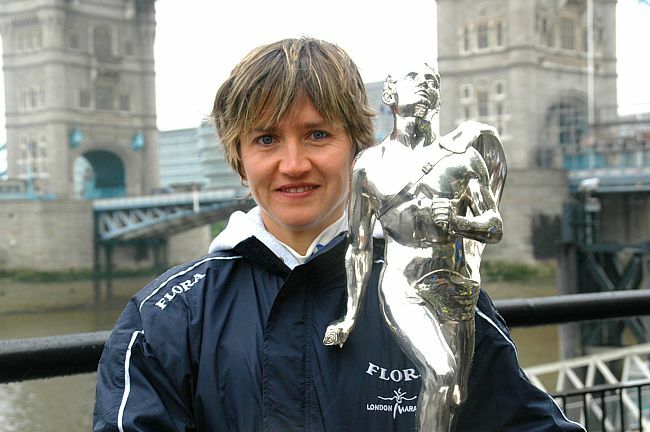 Irina Mikitenko keeps to her pace maker and drafting behind her are the later runner-up, Mara Yamauchi, and Zhou Chunxiu, who is going to drop back to 12th place. The Kazakhstan born shows a brave race and colours of her heart as she is wearing German national team cloth in this private race. She lives in Hesse near Frankfurt. Helge Schroeter-Janssen is Germany's most ambitious webmaster of the best visited running websites like www.lauftreff.de. 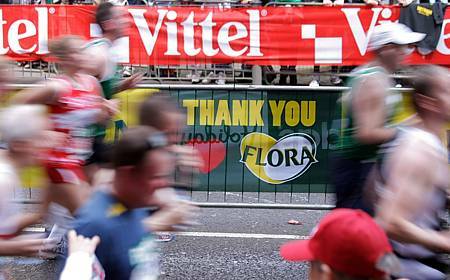 Organisiers thank Unilever for sponsoring the London Marathon for the unusually long period of 14 years. They are followed by Virgin, who have signed for 5 years so far. 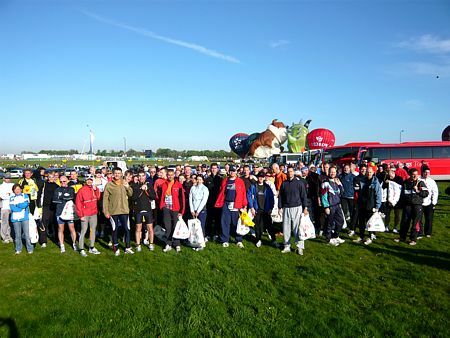 The crowds are even bigger than in recent years, obviously helped by the beautiful weather. 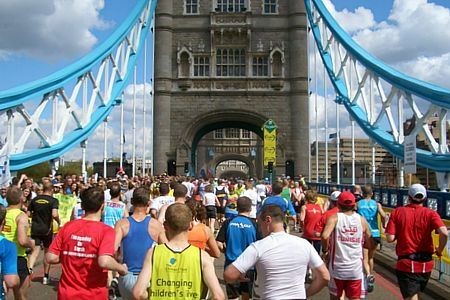 Exactly at 20km the runners reach the atmosphere's peak at the Tower Bridge. 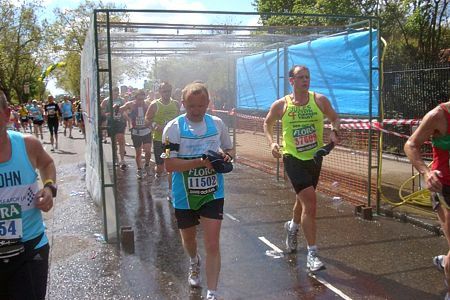 Briskly frequented are the flow path showers to cool down from 20°celsius. 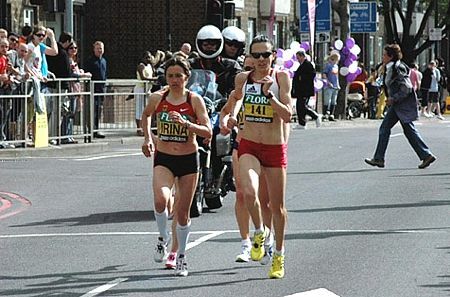 Rachel Pitt and Garry Keates are not the first couple to marry while running the London Marathon. But no others before took there time to go through a ecclesiastical ceremony. The couple finishes just married after 7:03:46. 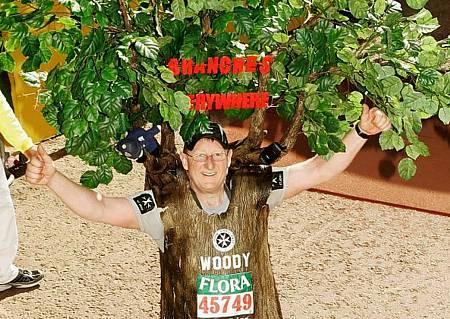 Woody, alias Lloyd Moreton, is a regular costume runner at the London-Marathon. He is striking root after 5:53:07. 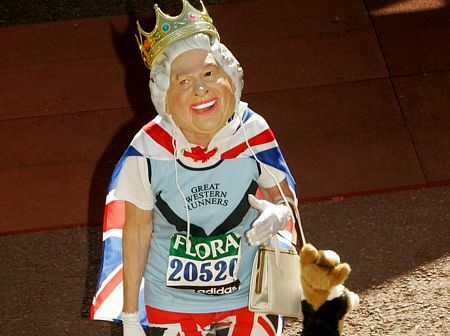 Audrey L Butler covers her F65 behind the Queen's mask, but she doesn't have to hide because of her 6:49:49. Her Make-up is still perfect after 7:11:00. Model "Jordan" Katie Price and djungle husband Peter Andre collect more than 200,000 Pfund for charity. Finish line at the Royal Mall. 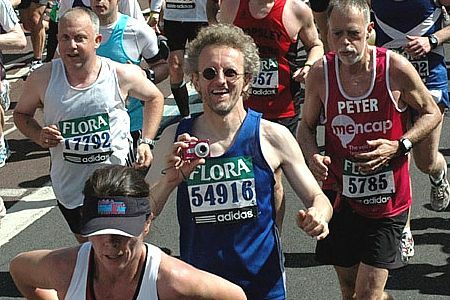 The men kept to a gruelling world record speed until half way (61:35), after a slow-down the Olympic champion still managed to set a new course record of 2:05:10. 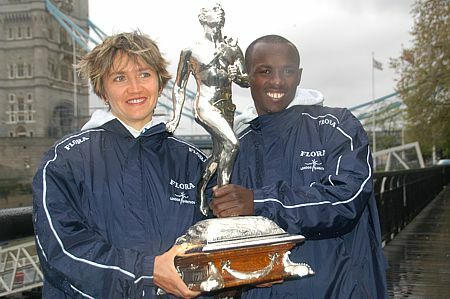 Behind Kebede and Gharib change their Beijing places.